The Charity Centre for Refugees (CCR), in the framework of Local Integration Program, implemented in Belarus, Ukraine and Moldova, organizes different events in Chisinau and outside the capital, fostering communication and cultural exchange between refugee community and local population. Part of these events is specifically dedicated to women refugees, because for them the refugee situation, hard as it is for men, is even harder for women. They are more likely to get isolated, so therefore the importance of integration program is even bigger for women. The CCR always made an effort to keep a group of refugee women active under the Women Group Initiative. In the past, they organized activities like a sushi evening, informal discussions, and many other. 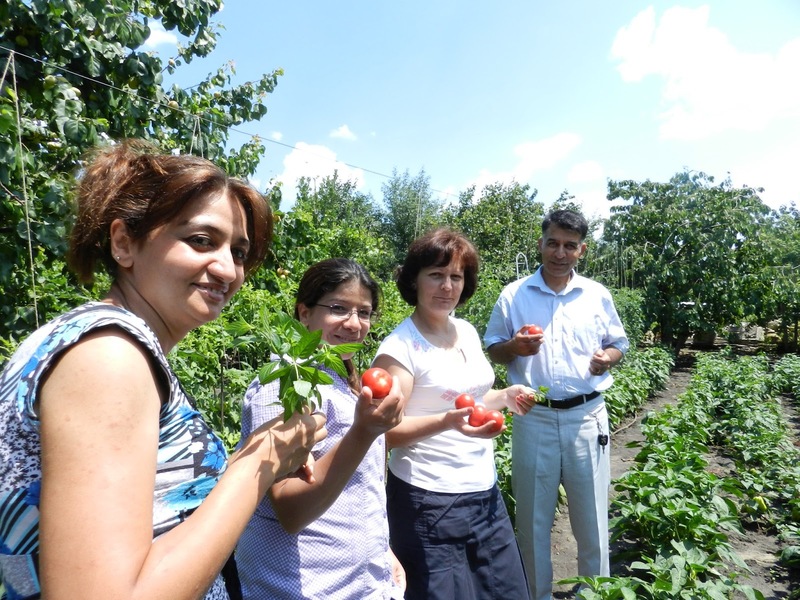 In order to repeat an event like this, the CCR organized a cooking day in the village Mereni. Not all refugees are based in Chisinau; some are living in the countryside, in villages, where contact with the other villagers is often more easily established than in the city. These families live in temporary houses, refurbished under the local integration program, implemented by UNHCR and financed by EU. The event was attended by some refugee women with their children, but also by the teachers of these children, social workers, the director of the school, neighbours and friends of the refugee children, as well as representatives of UNHCR, Ave Copiii NGO and the CCR. The aim was to facilitate interaction and create a firmer bond in order to get refugees and local population closer to each other. This was established through the cultural exchange and interaction in a friendly atmosphere. The event took place in the house of one of the teachers, Mrs. Veronica Chirita, in order to show the refugees how the local population lives and sustains their gardening and housing. The result of the cultural exchange was visible on the table, which was filled with both Moldovan and Syrian cooking. Of course recipes were exchanged and expertise shared. Refugees also pointed out to feel very at home and accepted within the community, which was proven by the refugee girls playing and dancing with Moldovan friends in the house, while their mothers discussed future projects which could help the refugees to further integrate and consider Moldova as their new home. The CCR is very grateful to see the willingness of the local population to organize such events and we hope that this kind of events will be repeated more often in the near future, not only in Mereni, but also in the CCR office, the village of Răzeni and other places of interest.